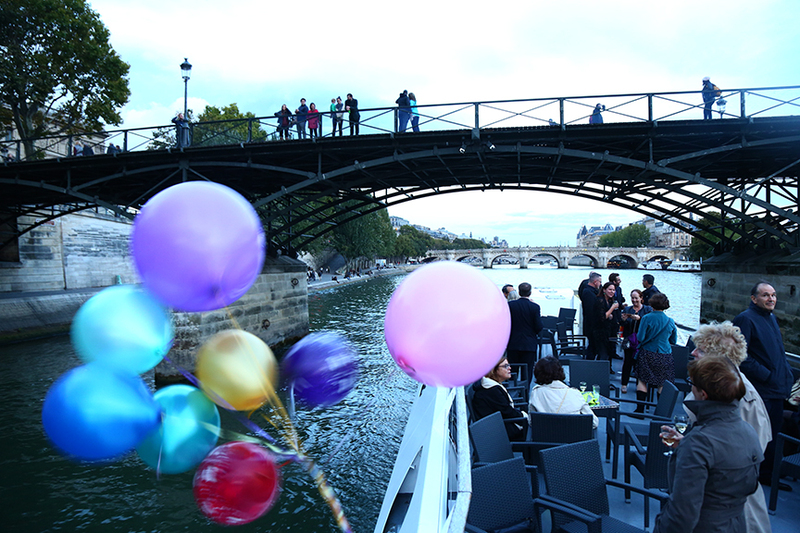 To celebrate the 110th year of the AAPA’s founding, 85 members and their guests took to the water for a celebratory evening cruise on the Seine on Sept. 16. 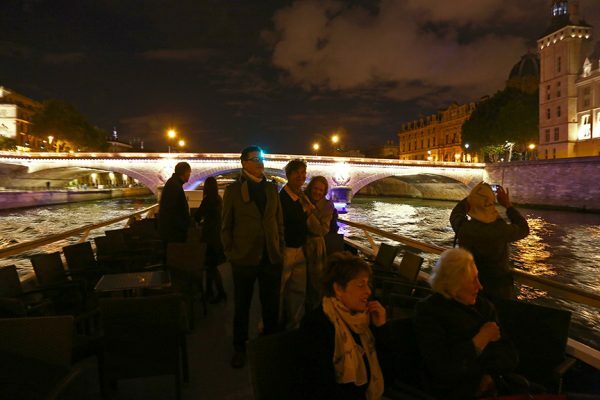 Boarding the “Henri IV,” at the picturesque Pont Neuf, we were treated to plentiful food and drink. The champagne was flowing like water thanks to a stash of left-over bubbly from previous summer Galas. 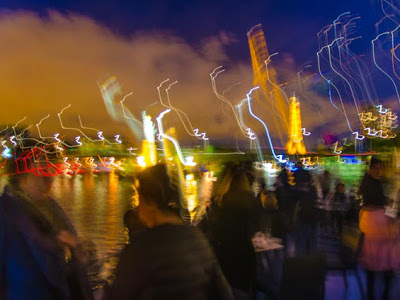 Top-class entertainment was supplied for 90 minutes by Lithuanian-raised, America-educated jazz singer Viktorija Gečyté and her two accompanists, who did their best to overcome the poor acoustics and the lively conversations of our excited mariners. The rain held off right to the end, allowing us to sit on the open top deck with our refreshments, admiring historic Parisian landmarks and being admired by envious landlubbers as we shuttled back and forth for over two hours between the “real” Statue of Liberty and the Bibliothèque François Mitterrand. In his address to the party-goers, AAPA President David Pearson reviewed some of the big news events from 1907, some of which are still relevant in today’s topsy-turvy political environment. 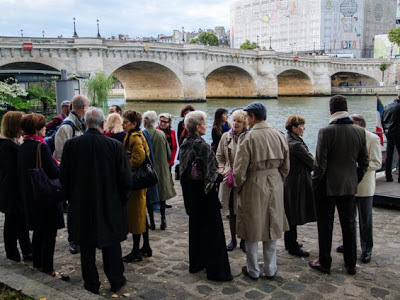 He recounted the origins of the association – the oldest journalists’ grouping in France – that year, when 16 British and nine American correspondents got together to create a club of like-minded people. 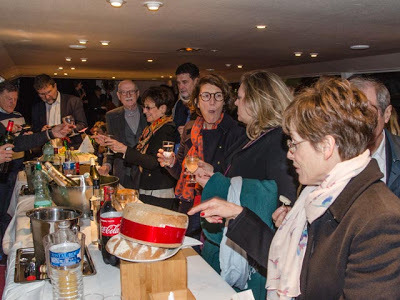 Over the decades, the AAPA’s regular, news-making meetings were must-attend events for English-speaking journalists based in Paris, and were frequently written up in the French press. American singer Sophie Tucker, when asked the secret of her long life, replied: “Simple. Keep breathing.” Pearson said that’s what the AAPA has been doing for the past 110 years. As a group, it’s able to serve up a smorgasbord of meetings with top officials, corporate leaders, and leading figures from the arts that journalists often can’t reach individually. And in recent years, it’s become a focal point for regular social events for members to meet up and exchange gossip and tips. Long life to the AAPA!